Disinfectant wipes designed for rapid cleaning and sanitising of all areas sensitive to serious contamination. 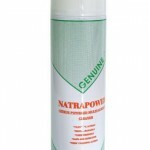 This specially designed wipe not only cleans but also eradicates bacterial contamination on any surface. Areas of use Independent tests to British and European standard confirm efficacy against a wide range of micro organisms such as: * AVAIN BIRD FLU (HN51)TYPE A VIRUSES * HIV * MRSA * HEPATITIS * TUBERCULOSIS * TB * HEPATITIS C * LISTERIA * SALMONELLA * ECOLI Benefits This product is classified as non-hazardous and is environmentally friendly, non-tainting and food safe. Key ingredient – Bioguard disinfectant cleaning solution. 200 Wipes per tub. Bulk buy discount may be available. Please contact us if you have any queries. 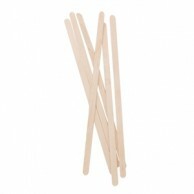 Pack of 1000 high quality drink stirrers. Made from wood and ideal for use in cafes and bars that sell take-away hot beverages. Box quantity: 1000.